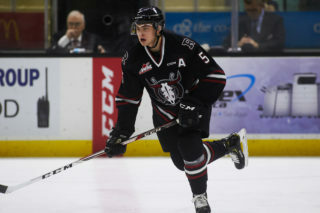 In our first of eight opening round 2019 WHL Playoffs previews, we examine the Prince Albert Raiders and the Red Deer Rebels. As much as the Prince Albert Raiders have changed over the past 12 months, it’s memories from their first round series that should serve to inspire them in the 2019 WHL Playoffs. In late March 2018, it was the Raiders who were the underdogs, going up against an offensive juggernaut that had just captured the Scotty Munro Memorial Trophy. Now, the shoe is on the other foot. 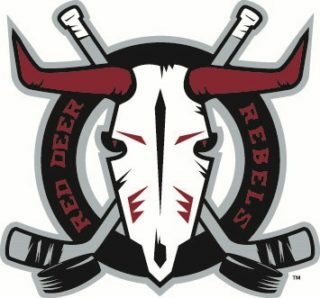 Enter the Red Deer Rebels. Earning the second wild card spot, the Rebels occupy the same spot the Raiders were in last season when they went up against the Moose Jaw Warriors, shocking the best team in the league with seven hotly-contested games before losing out. It could happen again this season if the Raiders aren’t mindful of the talent possessed by the Rebels. As dominant as they have been during the regular season, the slate is now fresh for all 16 teams, including the Raiders. There’s no denying that their league-leading offence has found ways to score at will throughout the season and that will be one of the biggest tests for the Rebels to contain. The Raiders had 11 players reach the double-digit goal mark this season, including WHL Trade Deadline acquisition Dante Hannoun, who posted a tidy 31 points (10G-21A) in 28 games with the Raiders. Countering is a Rebels team that will be led by the likes of Brandon Hagel, captain Reese Johnson, and Jeff De Wit. The trio of 1998-born forwards have played a combined 686 WHL regular season games for the Rebels, led by Hagel’s 259. For an organization that has given them so much, you know the trio will be bringing their best in the final playoff run of their major junior hockey careers. Though the Raiders claimed three victories from the season series, all four results were decided by a single goal. The Rebels claimed bragging rights first in the season series as well with a win in October. What confidence is gained from those four meetings is important, though everything will ultimately reset come Friday’s drop of the puck. Behind the bench, a historic matchup will take place between Marc Habscheid and Brent Sutter, both of whom reached the 500-win mark for their WHL coaching careers during the second half of the season. Mix in a WHL veteran like Raiders’ general manager Curtis Hunt and you have the makings of a series loaded with talent on and off the ice. Fans of NHL teams will have plenty of reasons to keep their eyeballs on this series. 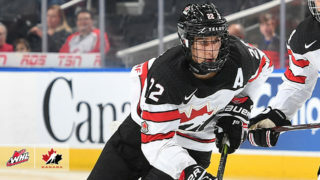 On Prince Albert, San Jose Sharks prospect Noah Gregor will lead the offensive charge while Brett Leason ranks 17th among North American skaters ahead of the 2019 NHL Draft. A trio of Eastern Conference Canadian teams will also want to pay attention with Toronto Maple Leafs prospect Ian Scott, Montreal Canadiens prospect Cole Fonstad, and Ottawa Senators prospect Parker Kelly all contributing to the team’s success this season. Aliaksei Protas is also on NHL Central Scouting’s radar, ranked 77th among North American skaters. Countering for the Rebels are Hagel and Johnson, a pair of prospects with the Chicago Blackhawks. Brett Davis and Dawson Barteaux represent a pair of Dallas Stars prospects worth watching. Alexeyev’s status for the series appears to be up the air, but the Washington Capitals first-round selection will also warrant plenty of deserved attention. On the draft radar, goaltender Ethan Anders and forward Oleg Zaytsev will look to rise to the occasion. As a team expected to contend for a WHL Championship, memories of last year need to serve the Raiders well in order to clear their first hurdle in the Rebels. As mentioned earlier, the Raiders nearly pulled off a seven-game upset of the Moose Jaw Warriors in the first round of the 2018 WHL Playoffs and the Rebels are capable of doing the same if Prince Albert isn’t careful. The Raiders have already collected a trophy from the regular season, but the team should remain hungry for the ultimate goal of hoisting the Ed Chynoweth Cup in mid-May 2019. Keeping their focus on the present should help them reach that destination. A four-game losing streak wasn’t the best way to head into the 2019 WHL Playoffs, but nevertheless, the Rebels are here. The advantage for Red Deer is that the slate is wiped clean now, but they still have the knowledge of beating the Raiders earlier this season. As the season progressed, other teams managed to expose cracks in the Raiders’ armour and the Rebels are a team capable of exposing any weaknesses. However, the Rebels will need to be at their best shift after shift in order to take down a team that finished with the league’s best record for a reason. How the Rebels handle the adversity of the first two games in a raucous Art Hauser Centre will be a telling sign for the remainder of the series. While he’s always been a player to watch, Ottawa Senators prospect Parker Kelly may be the most intriguing of the Raiders’ forwards. From January 1, 2019 to the end of the regular season, Kelly lead the team with 20 goals and finished third in team scoring with 33 points (20G-13A), including six multi-goal games in the 2019 calendar year. Those numbers gave the 19-year-old product of Camrose, Alta. his first 30-goal season in the WHL and he’s hitting his stride at the right time. Taking a page from the 2017-18 Swift Current Broncos, when their top offensive threats weren’t producing, it was others like Matteo Gennaro and Giorgio Estephan that stepped up, helping them on the path to championship glory. If the Raiders are to follow that same route to the Ed Chynoweth Cup, Kelly will be counted on to play an effective role such as that. Brandon Hagel was the unquestioned offensive leader for the Rebels this season, posting 41 goals and 102 points. He became the first Rebels skater to reach the century mark in points since a 17-year-old Ryan Nugent-Hopkins did it back during the 2010-11 campaign. Hagel’s presence as one of the top offensive threats in the league will certainly be a test for the Raiders’ defence to contain. On Hagel’s end, this run marks one last drive to attain a WHL Championship for the Morinville, Alta. product, meaning he should be every bit a thorn in the side of the Raiders as he can be throughout the course of the series. On a team stacked up front with high-end talent, captain Brayden Pachal has provided a calming presence from the blue line. He’s also chipped in the offence as well with 51 points in 66 games. Of the WHL Awards that can be handed out, Pachal will anointed as the winner of the 2018-19 WHL Plus/Minus Award with an incredible plus-76 rating. Dean McAmmond was the first and last Raider to collect that honour in the 1991-92 WHL Regular Season. As evidenced by the highlight from last year’s first-round series, Pachal is more than capable of being a fourth forward of sorts for Prince Albert. As the leading defenceman on a team that led the Eastern Conference with only 156 goals against, he’ll be counted on to continue his strong game into the spring. Listed as week-to-week by the WHL Weekly Report, it appears as though Alexander Alexeyev’s status for this series is in doubt. That would be a big blow for the Rebels, but by no means would it leave them exposed on the blue line. Dawson Barteaux, a 2018 pick of the Dallas Stars, is on the path to being a standout WHL player. Barteaux has the advantage of being born early in 2000, making him 19-year-old already but with at most two years left with the Rebels. The Foxwarren, Man. product has eight games of WHL Playoffs experience to his credit already facing off against offensively-talented Lethbridge Hurricanes teams. What he’s learned from those eight games will have to translate against the Raiders quickly. For four seasons, Ian Scott has manned the crease for the Prince Albert Raiders, handling the starting duties in three of them. As Curtis Hunt has overseen the roster’s construction into a championship-calibre squad, Scott has remained a constant. Now, the 19-year-old is in the midst of his best season in his major junior career. His single-season franchise record eight shutouts and 1.83 goals-against average are proof of the talent possessed by the Toronto Maple Leafs prospect. After experiencing a Calder Cup win with the American Hockey League’s Toronto Marlies last season and his performance through the regular season, much will be expected of him. If anyone has proven themselves able to rise to the pressure of the moment though, it’s Scott. Ethan Anders has been a leading part of the 2018-19 Rebels. 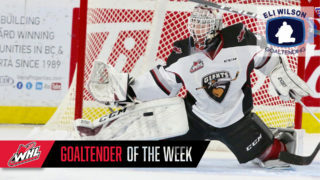 He’s ranked 13th among North American goaltenders ahead of the 2019 NHL Draft and could very well end up as a talented find by the Rebels’ organization, who listed the Pilot Butte, Sask. product. He’s since appeared in 99 WHL regular season games and appeared in three of the Rebels games during the 2018 WHL Playoffs. One of his top accomplishments must be the early-season victory against the Raiders where he stopped a career-high 49 shots in a 4-3 win. He’s faced 40 or more shots nine times this season, compiling an impressive 6-1-1-1 record in those games. 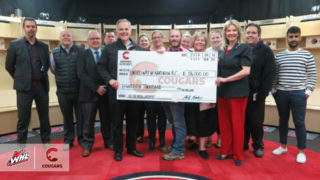 The series may not favour Red Deer if this gets into a red-light showcase at both ends, but the young goaltender is certainly capable of securing wins for his teams when called upon. 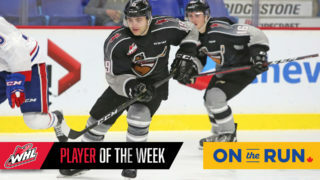 His promising WHL career to date includes being named the WHL Rookie of the Month in January 2018. With a team and a city yearning for a WHL Championship, there’s good reason the hunt is on for this year’s edition of the Raiders to have success. After making the playoffs in nine of the first 10 years as a franchise, the Raiders won their lone WHL Championship and Memorial Cup in 1985. The modern era of the team has gone through their fair share of struggled though. Since 2004, they’ve appeared in the Eastern Conference Championship once and lost in the first round seven times. As proven in another hotbed of hockey passion last year, those memories can quickly be put in the past where they belong with a championship run. 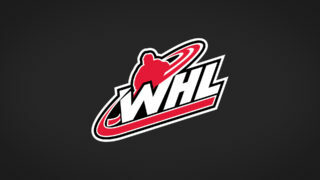 This year marks the fifth-straight season the Rebels have qualified for the WHL Playoffs. The Rebels first and only WHL Championship also lead to their first and only Memorial Cup back in 2001. Two other trips to the WHL Championship have also brought the Rebels close to championship glory. Their most recent significant run came during the 2015-16 season when they advanced to the Eastern Conference Championship and hosted the Memorial Cup. Continued success is the name of the game for the Rebels. The history watch is also once again on for Brent Sutter. Having recently become the ninth coach to 500 WHL coaching victories, Sutter is currently tied with Kelly McCrimmon and Pat Ginnell for the fourth-most playoff victories all time.